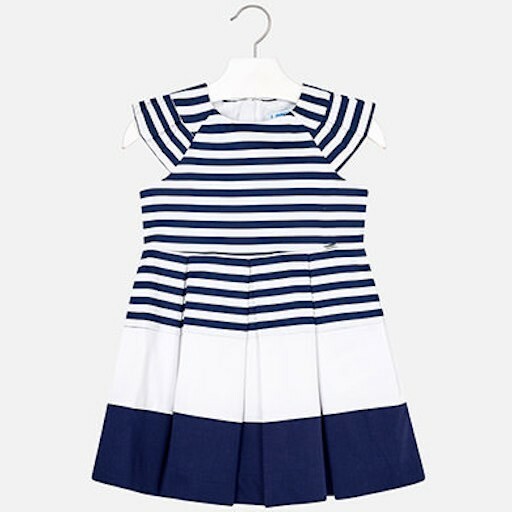 Short sleeved dress for girl. Round neckline. Fitted to the waist. Opening on the back with an invisible zip. Elegant and bright satin fabric. Pleated design. Striped pattern.